RIM is now taking off the most attractive feature of the Blackberry Playbook, due to piracy concerns. The ability of the Blackberry Playbook to practically load any Android applications, which come along the PlayBook OS version 2.0 update is about to be axed. 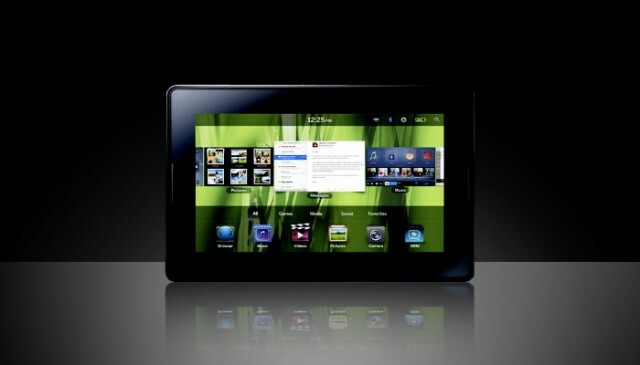 The function indeed increased the number of applications that users could load into the tablet. As known to the all Playbook users by now, the biggest weakness of the tablet is that it does not have a great selection of applications and hence this decision is quite obvious and justifying. Research in Motion is not however thrilled by the rampant amount of Android Apps that were being converted by the individual users and ultimately loaded onto the Playbook. The company prior preference would be to convert it into a Playbook-friendly platform and then submit to the Blackberry App World marketplace, thereby making it and official Playbook app. RIM has even given out Playbooks to developers who try going onto the extra mile for development and introduction of some new apps. And as of now, that trick is working fine, as RIM is quite confident to make it impossible to run Android apps that weren’t converted in that manner. The Blackberry has been highly appreciated by the users for its ability to run virtually any android app and removing that ability will let-go of the main attraction. But the company’s decision is also quite reasonable because there lay piracy concerns in the future of the tab. The way the platform is set up now makes it very easy for users to load the device with plenty of apps that they haven’t paid for. As for now, both the moves are equally worth considering and worth paying attention on, but the RIM’s final outcome is that the days of loading up Android apps on your Playbook are number. With the introduction of the new firmware update 2.1, the feature will be wiped out.